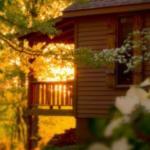 Private cabins provide a luxury Eureka Springs lodging experience. Are you seeking a way to stay in Eureka Springs that’s as individual as you are? At Silver Ridge Resort, we offer a variety of cabins to provide unique Eureka Springs lodging. From one-bedroom Honeymoon/Anniversary Cabins, to two and three-bedroom cabins great for a family getaway, you are sure to find a Eureka Springs lodging option that’s perfect for you. Read on for a bit more information and select the cabins you want to explore in greater detail. Located at the end of our private road, the Wits End Cabin is a great spot to unwind and enjoy nature in style. Our Luxury Two Story Log Cabin sleeps eight guests comfortably and quietly on our private property in the Ozark Mountains. The Country Cabin is the perfect choice for romantic getaways. The interior of the cabin is designed with a rustic Ozark charm. Our two-bedroom Family Cabins sleep four guests and feature double jacuzzi spas, a grill, cedar swing, and comfortable chairs on the back porch. 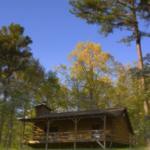 Our Honeymoon/Anniversary Cabins are a great place for newlyweds or longtime couples seeking a romantic escape. 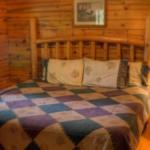 We invite you to browse our cabins to find the perfect Eureka Springs lodging for your stay.